In 2009 Obama won a participation-style Nobel Peace Prize for literally doing nothing. It's Ironic how Obama got a Nobel prize for peace, yet left the Middle East in pieces. Just handed out to him. Ironically causing more divide after 2009. When Kim Jung Un agreed to give up nuclear weapons — and actually did — Donald Trump deserves the Nobel Peace Prize. I'm sure the crooked media will try to give it to Kim. Kardashian??? Maybe. Some even say that even though it would be entirely Moon's doing? Makes sense. Obama should give his to Trump. At least Trump tried. Moon is the one who threatened to blow up Pyongyang if N Korea didn’t stop their provocations? Crazy, I could've "swore" that it was exclusively S. Korean delegations who have been talking with North Korea over the past weeks/months--you know, diplomacy. If Trump brings peace to the Korean peninsula, Obama's Nobel peace prize should be rescinded, immediately, and a participation trophy mailed out for replacement. But yes, it was all because of those bellicose Twitter threats. Just took a few months to sink in. But won’t happen. Western organizations from ESPN to Nobel are run by decadent elites. 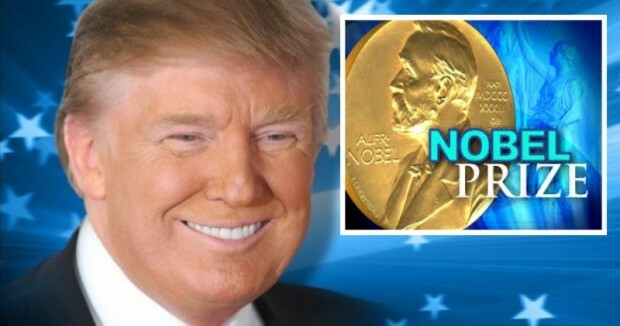 So when does President Trump get his Nobel Peace Prize? Screw them. A new medal should be created in honor of DJT. Nobel awards mean nothing. Trump deserves much better. Perhaps right after the MSM becomes a news organization. According to Social Network Trends " Trump and Kim will meet in NYC". A Nobel Peace Prize was given to Obama. 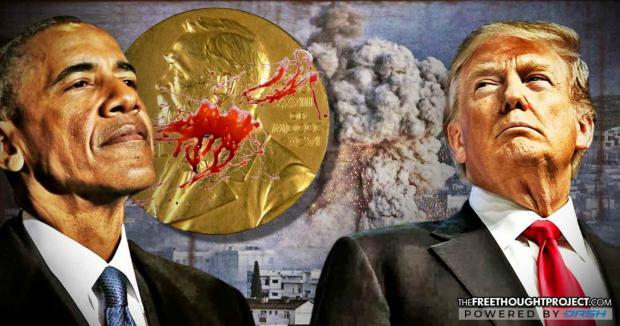 If Trump solved the Korean situation, ended the Syrian Civil War and resolved the Israel-Palestine conflict, he still wouldn't win the Nobel Peace Prize. 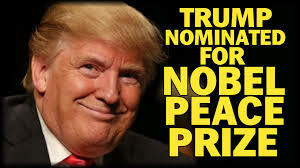 "A person appears to have stolen someone's identity to nominate President Trump for the Nobel Peace Prize — for the second year in a row. Olav Njolstad, director of the Norwegian Nobel Institute and secretary of the Norwegian Nobel Committee, which awards the Peace Prize", told The Washington Post. The Nobel Prize is nothing more than the biggest leftist virtue signal in the world. Obama received one for absolutely NOTHING. It's really not a cool thing anymore. A little more respect would be a much better show of appreciating his accomplishments. Why would he want a corrupt Marxist status symbol. 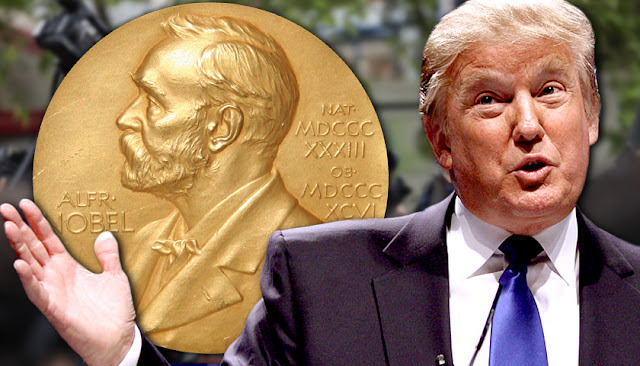 Knowing the Nobel Prize as they've done all these years, they would give the award to Hillary just to piss him off. Jimmy Carter got the Prize this way, because they wanted to give W the middle finger. If Obama got a Nobel peace prize despite the fact he drone stroked between 384 and 807 civilians. Charles Manson should get one. He was responsible for less deaths. Only Obama gets one before doing anything. Trump will have to not only bring NOKO to heal but also get Pelosi to speak intelligently and raise the lost city of Atlantis to be considered.